HiPP Bio-Fruit Tea. 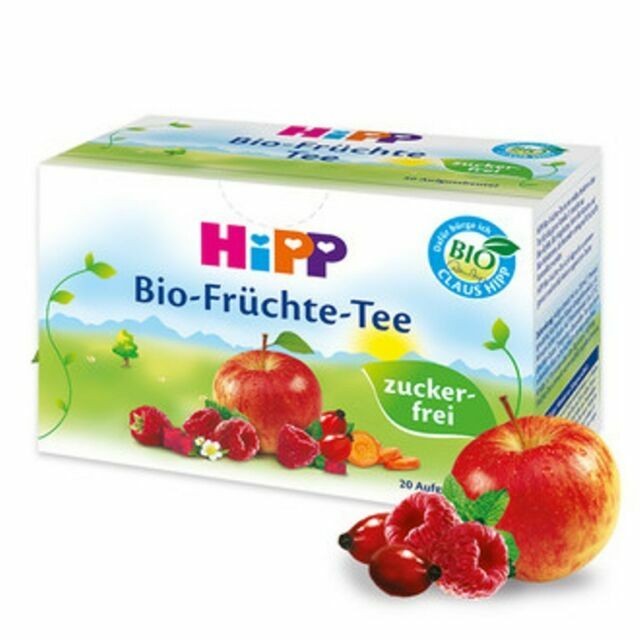 This is a great tasting Fruit Tea manufactured by the trusted producer HiPP of Germany. This tea is organically produced, sugar free and suitable from the 4th month. It is a mild tasting tea free from any added sugar.